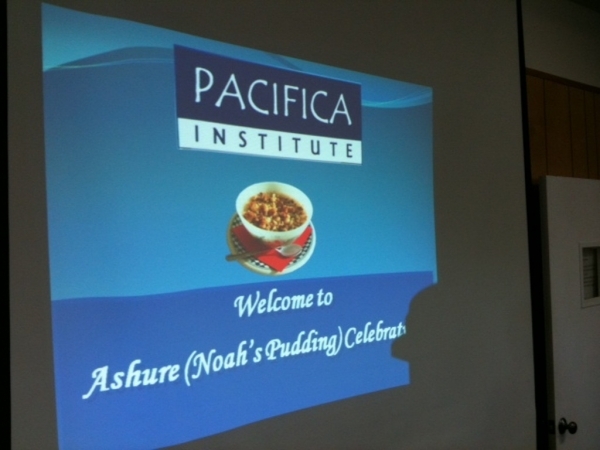 Members of Pacifica institute visited the local Presbyterian Church to celebrate and share the Ashure(Noah`s Puding).This year marked the third consecutive Ashure celebration at the same church. The newly appointed pastor Rev. Ken Gardner and the other church members received Pacifica once again with warmth and kindness. After a small presentation about the history of Ashure, the desserts were served and both group engaged in a mutually beneficial and a moving dialogue.